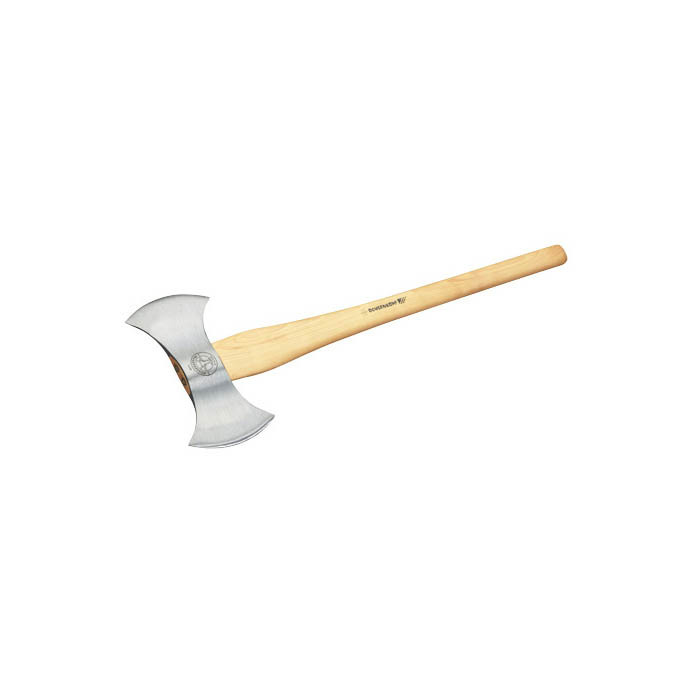 Now Available from ForestAndArb, The Ochsenkopf Double Bit Throwing Axe, which has been designed specifically for competition use. Once used as a hunting axe and a weapon of war, the double bit axe gradually found its way into leisure use with forestry workers. With Axe throwing now a popular sporting activity, Ochsenkopf have deisgned the perfect tool for the job. While falling within the required parameters, the axe is perfectly balanced for throwing, to proide the optimum flight pattern, and has a hand forged steel head with an exceptionally sharp blade. It also has a lighweight, but very high quality hickory handle. Also comes with a top quality leather sheath.